This summer we’ve decided not to go home. We’re here, in Tokyo, living out our sweltering summer amidst the asphalt and kakigoori (also known as the best thing made from ice ever invented). My mom’s here visiting. That’s super nice. Occasionally she comes to see us and get a taste of our life between worlds. I’ve been talking to her quite a bit about the stress of this lifestyle. 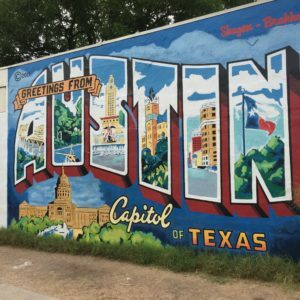 It feels particularly acute because we’re here and not in Austin. I always feel like the only place in the world I’m supposed to be in the summer is Austin. It makes the universe feel a bit off kilter to be here and not there. 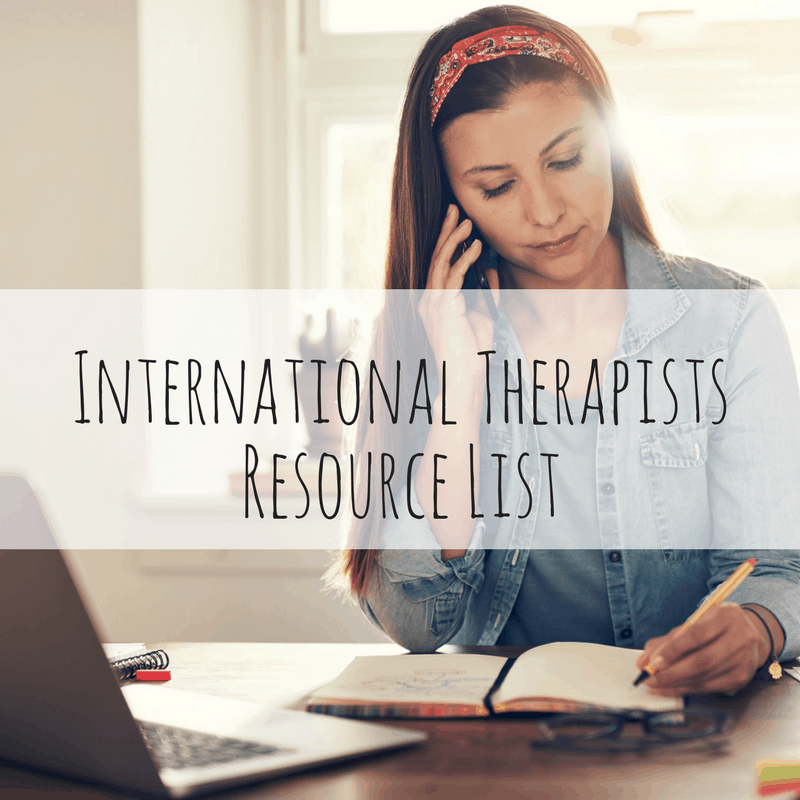 I realize in talking with her that it’s not the everyday stressors of expat life that most get to me (although, of course, there are many), but rather what I think of as background stressors. The deeper, more intimate questions of – Will all this work out in the end? What does our retirement look like if we’ve never had a home? Will our kids wish they’d stayed in one place? Where will we be living this time next year? What does it mean to be an American overseas during times like these? When we think about stress-management and self-care – we often think about the everyday skills and habits that help us deal with the surface stressors of life. Going for a nice long run, getting a massage or calling a friend largely helps us handle that sort of stress. But background stress is different because it can be hard-to-reach and difficult to figure out what’s actually going on. It lurks under and behind everything we do. It nags – like losing your keys or forgetting the name of that girl you used to know in middle school, the one who moved to Hawaii. Those stressors are there whether we notice them or not and they pile up. Background stressors can leave us feeling unexpectedly down, lost, irritable or just plan weird. 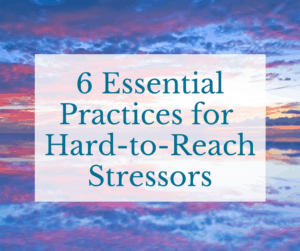 While having positive self-care habits like exercise, sufficient sleep and healthy eating definitely help ease the intensity of background stressors, I’ve found that these stressors also take a separate and distinct type of engagement. To deal with the challenges that hit at our egos, our values and our sense of purpose – it’s important to develop habits of self-reflection and insight. Taking the time to look more closely at who we are and how we fit in the world can be difficult. Sometimes the effort can feel daunting. We may not be sure we’ll like what we find there. On the other hand, deep down most of us know it’s important to do this type of inner work so that we can grow and develop into our full selves. One way to cultivate a more reflective state is to develop practices that naturally foster paying attention to our experiences. These skills can help us turn towards what’s going on inside and around us, giving us more information about the source of background stress. 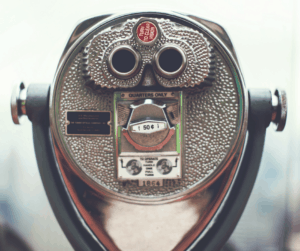 Attending to Judgment – Learning to become aware of our judgments and assumptions. Attending to Emotions – Asking ourselves what we’re feeling. Attending to Physical Sensation – Paying attention to our body and asking what it may be trying to tell us. Cultivating Stillness – Spending time in “not doing” to see what insights might come. Engaging Ambiguity – Learning to become more comfortable with what we don’t or can’t know. These practices (from the Personal Leadership model for intercultural communication) are great for those moments when you feel that nagging sense of uncertainty. Those times when you sense something’s not quite right, but you can’t put your finger on it or those times when you feel like you’re just floating along – neither completely engaged nor disengaged. Sure, you’ll still go for a run, call a friend, write in your journal or enjoy a little “me time,” but for all the stress that just keeps on giving learning to turn your attention towards what’s going on, just might be the key. 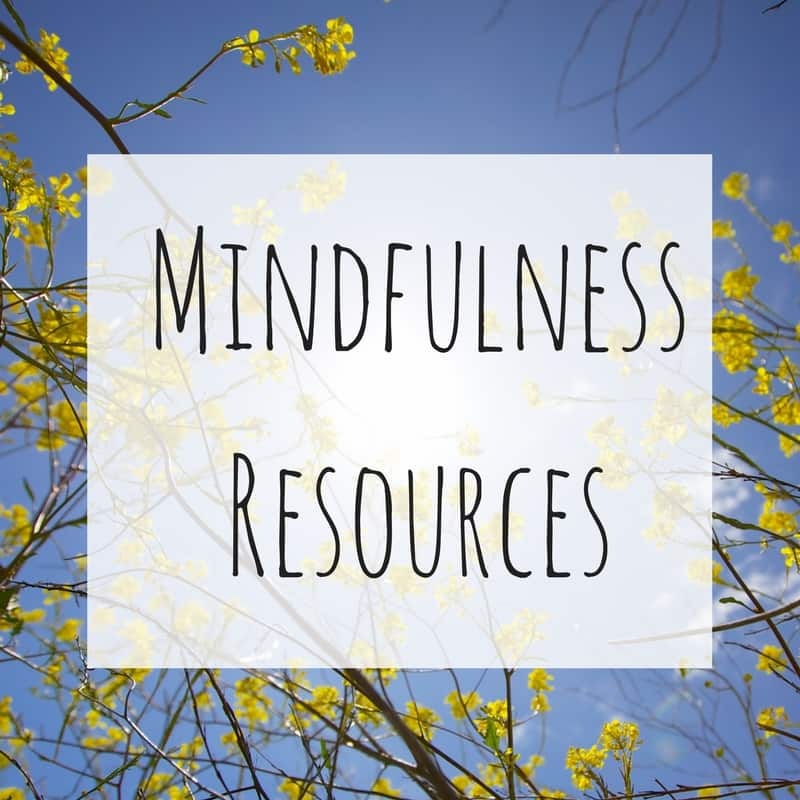 To hear a bit more about these practices in detail, check out this blog post from my 7-Part Facebook Live video series – What Does It Take to Practice Mindfulness? 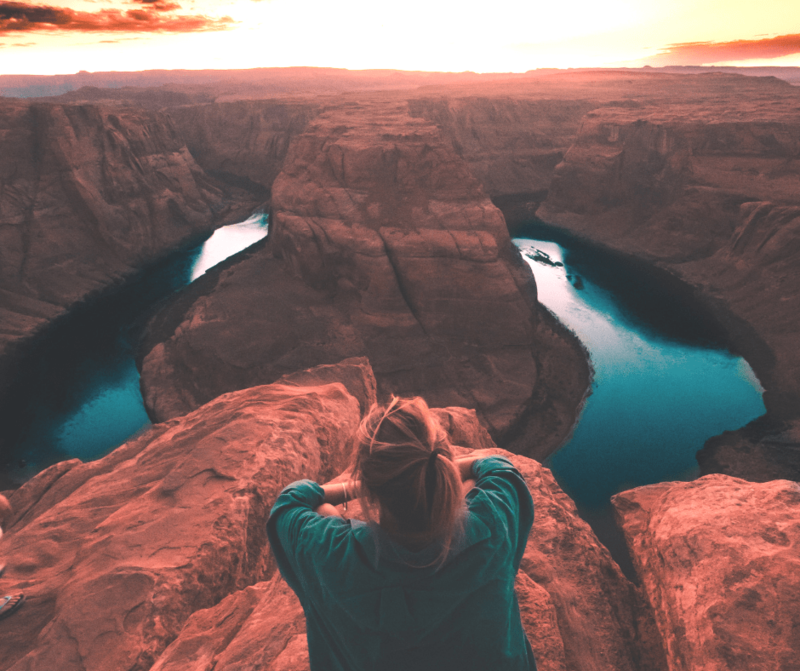 To learn how you can apply these practices in your own life, consider joining the fall session of Finding Your Way: Everyday Mindfulness for Critical Moments. This is such an important topic to me and I love to support people as the learn simple, easy-to-access skills to engage more fully, live more deeply and connect more authentically to themselves and the world around them. Mindfulness can be an everyday practice – something we do throughout our day in small ways that can lead to big change. These skills take commitment and patience, but they’re actually quite simple and completely doable within your daily life. Below you’ll find the entire Facebook live video series. Day One is an introduction to the concept of mindfulness and the subsequent videos outline the 6 mindfulness practices offered through the Personal Leadership model. Heads-up: If the videos are muted when you click on them, simply right click to unmute. 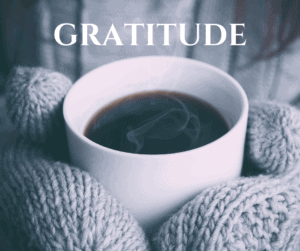 I offer 3 online courses in everyday mindfulness. Learn more about them here. Combined coaching and facilitation programs in Mindfulness and Personal Leadership for businesses, non-profits and schools. Individual Coaching – Mindfulness provides a significant framework for my one-on-one coaching programs. Learn more about my life coaching services for expats and individuals in transition here. 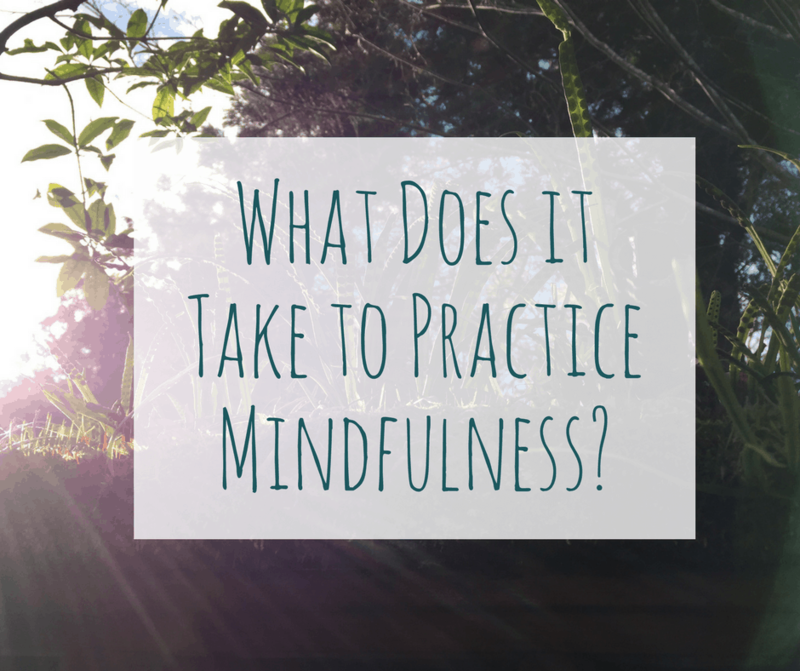 Day One: What does it take to practice mindfulness? Intro. A couple of notes for this video: Here is the book I mention – 10% Happier by Dan Harris (ooops, I say Dan Brown in the video). Also, this video cuts a bit short – apologies, but nothing missed other than me signing off. What does it take to practice mindfulness? *The first video of a 7 part Facebook live series. Join me over the next 7 days to learn about the 6 mindfulness practices I use in my coaching and mindfulness programs. Be sure to check out the book Personal Leadership: Making a World of Difference. This is the resource I mention for expanding your emotional vocabulary. What does it take to practice mindfulness? Part 3 – Attending to Emotion. I’m sitting here with a quickly cooling cup of tea and hoping to bust out the tiniest bit of work tasks before my children come home early due to snow and my husband (likely) comes home early having been furloughed from his job until…well…Congress. It’s days like this when I often start thinking I need to throw in the towel and just call this day a wash. As anyone who works from home (and I’m including ALL expat spouses whether their job pays them or not because it is work! ), one little wrench in the plan can leave you scrambling to rework your schedule. Alternatively, you simply curl up and watch movies. But – it doesn’t have to be that way. 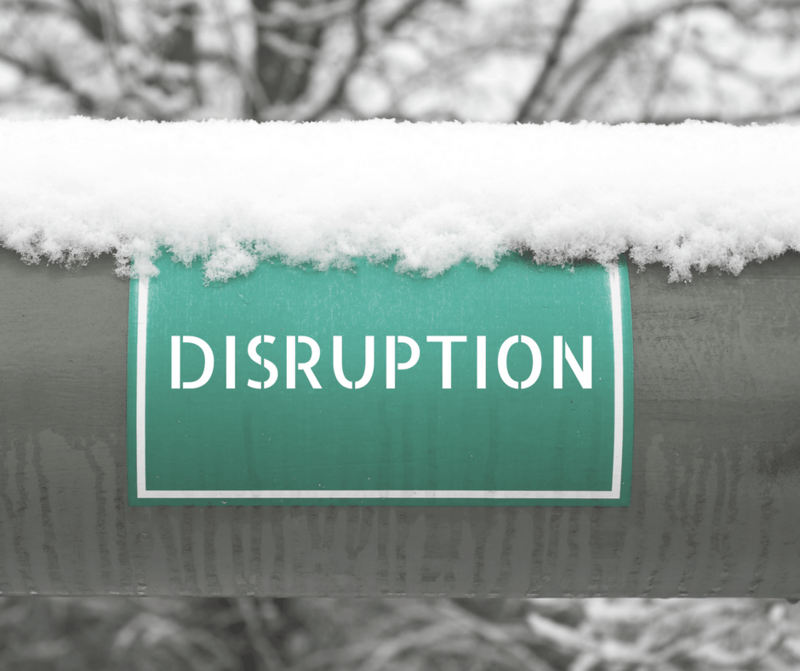 Disruptions big (a serious illness in the family) and small (snow days) – can actually be perfect opportunities to learn. 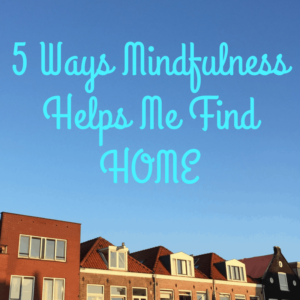 When we’re breezing through and everything seems easy – we may find ourselves on autopilot. That feels good for a while, but sometimes having our environment a little disrupted gives us the opportunity to stop and re-evaluate. What sorts of lessons is disruption trying to teach you today? There’s more than one way to do things. I go to a semi-regular networking coffee in Shibuya. The walk is about 40 minutes from my house. I always walk because it’s pleasant and I enjoy the time to think. But today – with snow threatening and an early release from school pending – I knew I needed to think again about the timing of my day. A couple of shifts (namely taking the train and committing myself to leaving the coffee by 11:00AM) means I’m home in time to get a bit of work in. Okay, so this is kind of similar to the one above, but it’s really a layer deeper. When we’re out of our regular routine, we may notice things we hadn’t seen before. Take a different route, rework a familiar pattern, see a different angle. 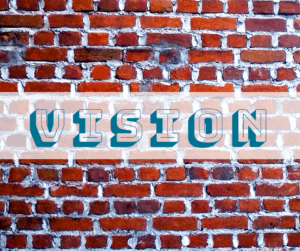 Disruption helps us notice new things and that gets our creative juices flowing. Take this blog post for example – definitely the outcome of an unexpected disruption! The natural feeling of frustration that comes from being interrupted in our planned activities is a cue for us to tune in and pay attention to how we’re feeling. Instead of forcing ourselves into a preconceived box (“I was going to do this. It was going to be this way and I was going to feel like X.”), we now have to ask, “How am I really feeling here?” We may even find the disruption was exactly what we needed to slow down and really see what’s going on inside our hearts. It’s easier to be mindful when things look different. Think about all those places you drive without thinking or the tasks you mindlessly complete because you’ve done them a thousand times. When our plans shift because of unexpected circumstances – we have to stand back and pay attention. Problem-solving mode requires us to really focus and to evaluate the whole scene. We can then ask ourselves – Do I scrap this or simply make a small adjustment? You’re really good at disruption! Do I need to tell you this? 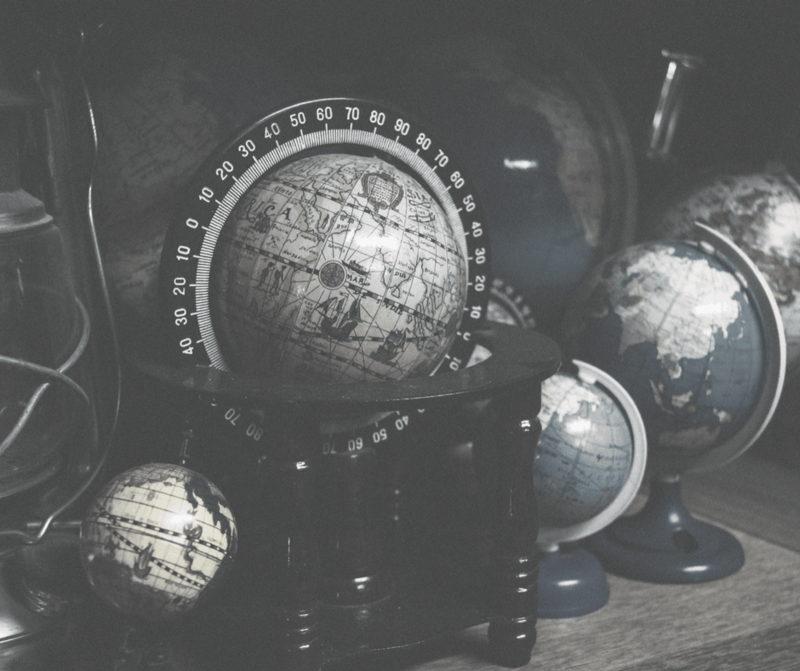 You may hate it, but you’re amazing at it because (assuming you’re an expat) you do it all the time. So, while you may not always feel like a breezy-go-with-the-flow sort of person – it’s in you. Maybe today you don’t need to sweat the disruption all that much. Maybe you could even lay back and put on a little Netflix. No matter what, past experience confirms that it’s within your power to plug along or make a change. What else can disruption teach you? Are you awake and listening? Are you staying curious, asking questions, coming back again and again to see a different angle? Let me know in the comments! I’d love to hear how you handle disruption.